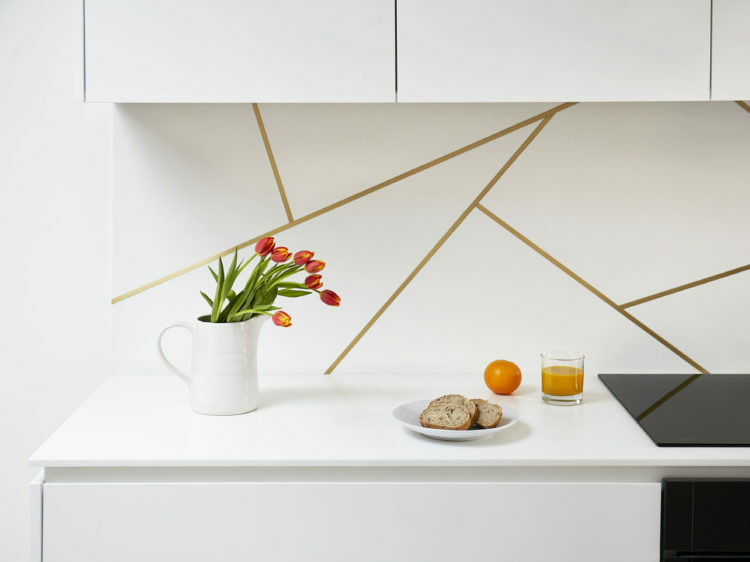 Talented designer at St James Interiors, Bea Henriot, was commissioned by founder, Pritesh Lad, to design a bespoke fitted piece. 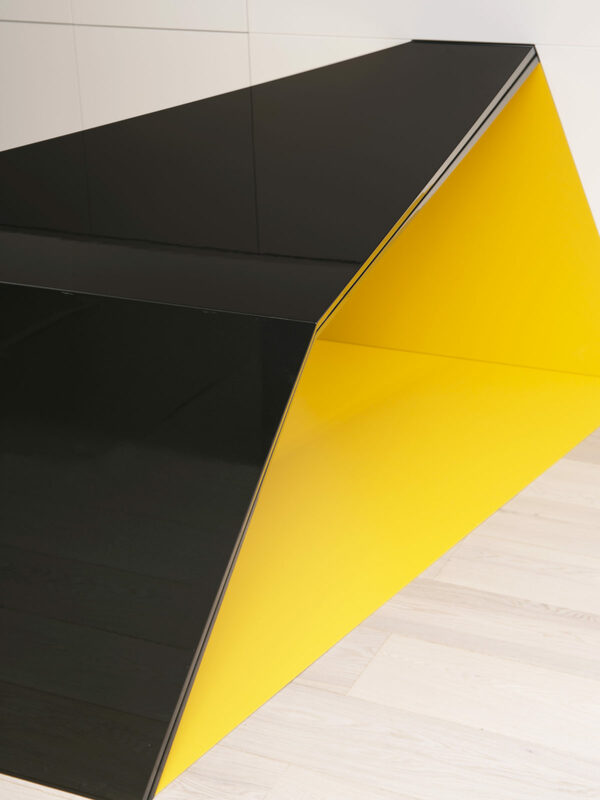 Bea chose this stylish desk, an excellent example of semi-freestanding furniture, which pushes the boundaries in design. 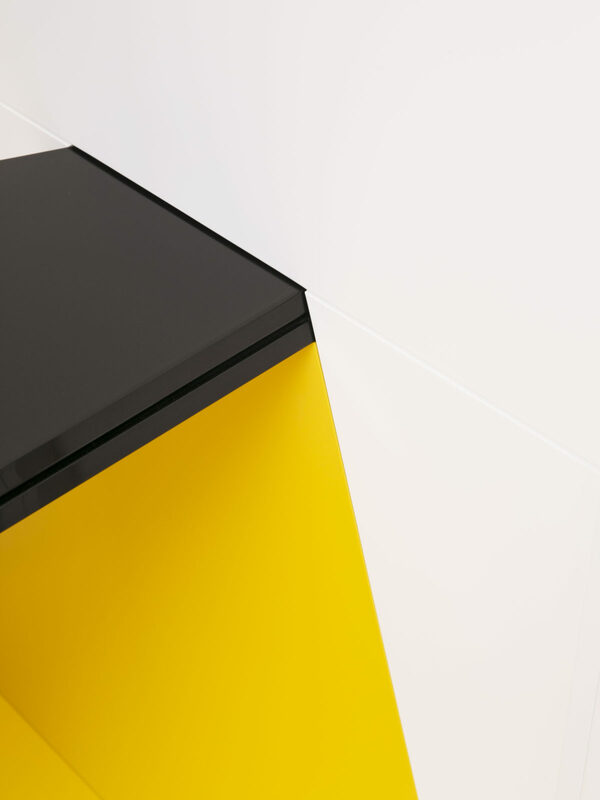 For example, desktops do not have to be rectangular and the floor beneath does not need to be excluded from the design. 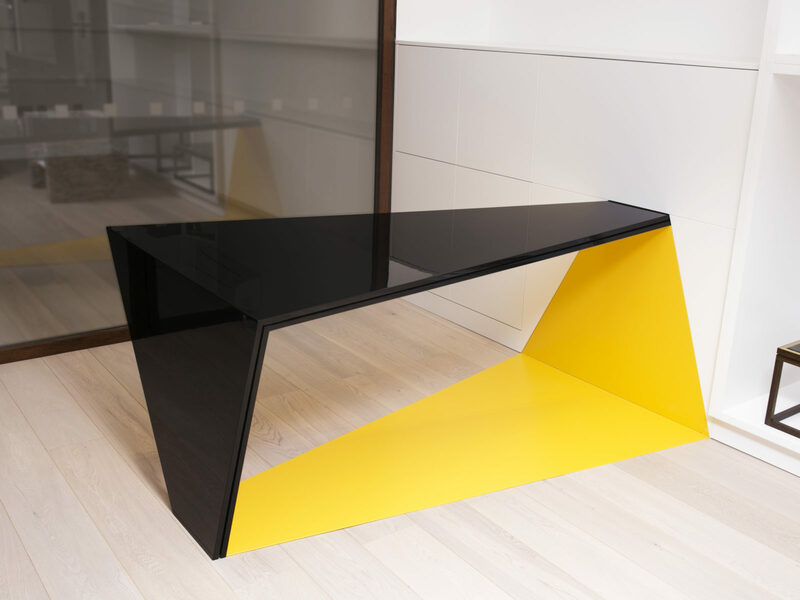 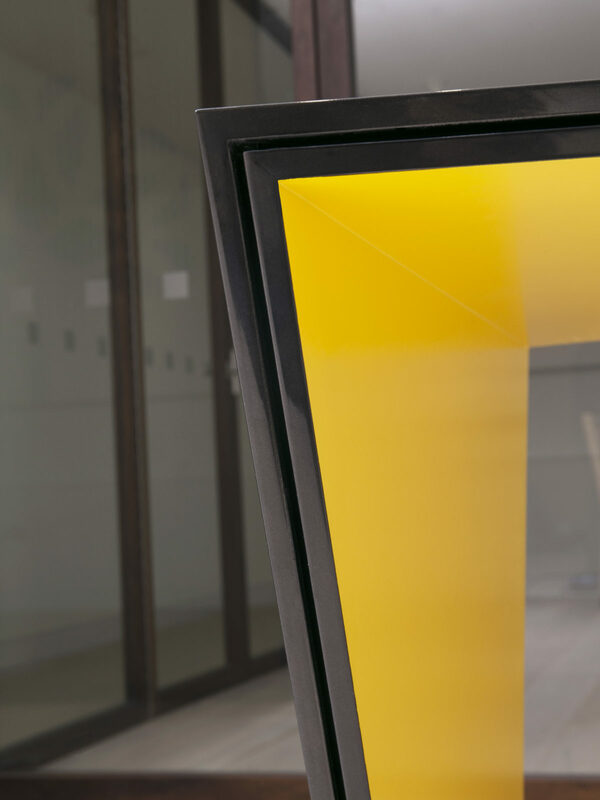 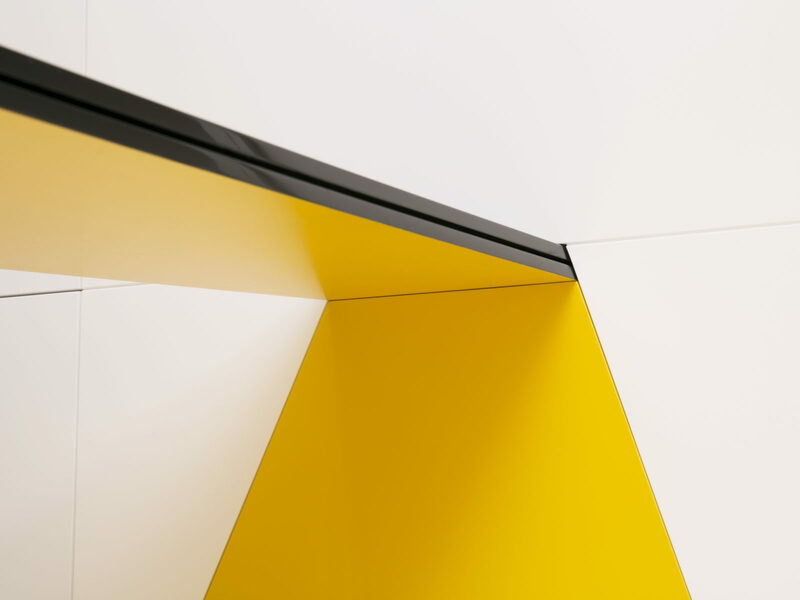 The yellow section echoes the gunmetal top, however following a closer inspection the design reveals the shape is the other way around – an exciting illusion to stimulate the imagination. 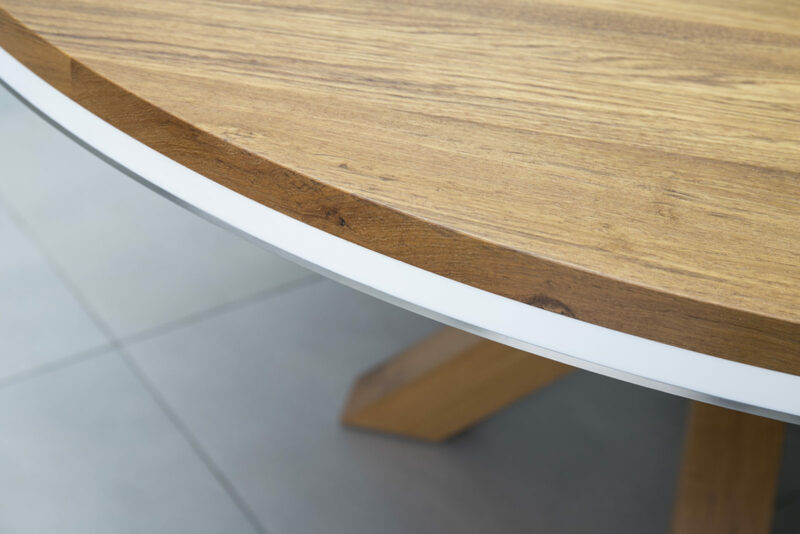 The lighting is purely decorative, however it has already sparked ideas for illuminating additional pieces in the furniture collection. 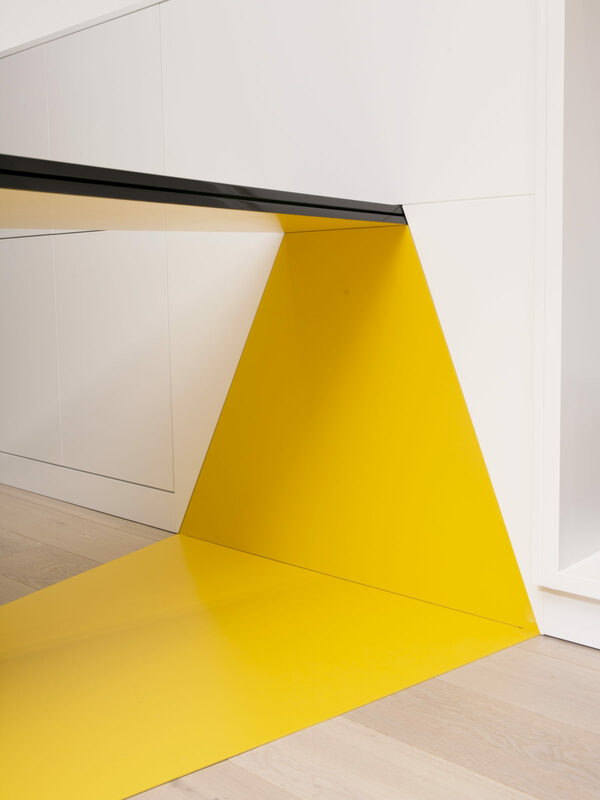 Designed to be incorporated into a building, the desk is supported by the wall and its single leg. 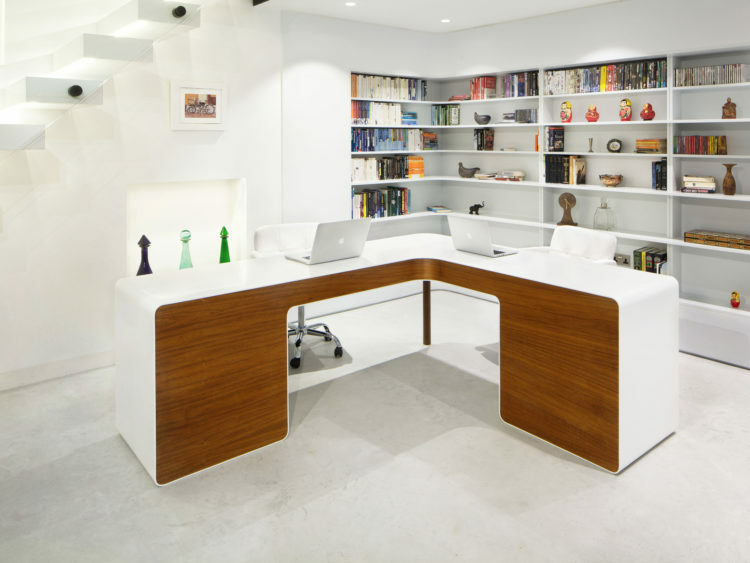 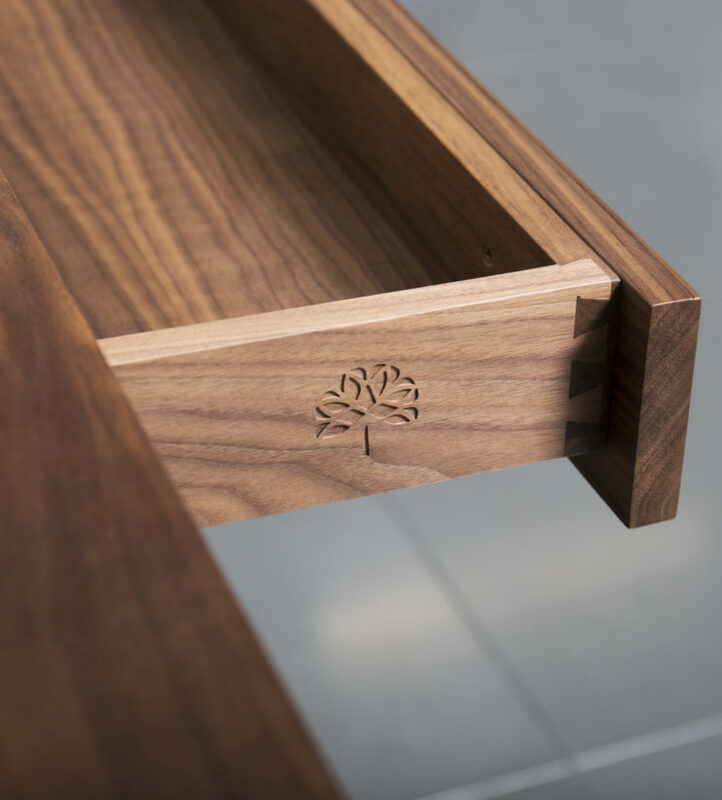 Internal structure allows the desk to retain its strong horizontal plane.